Pelton & Crane was founded in 1900 by Dr. R.M. Pelton, a dentist, and Mr. Crane, an electrical engineer, with the purpose of designing and manufacturing a furnace used to bake porcelain inlays. Innovation and quality are traditions that have kept Pelton & Crane at the forefront of the dental industry for over 100 years. 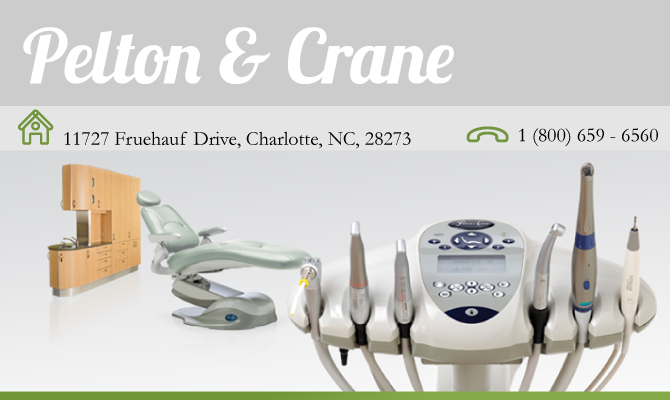 Today, Pelton & Crane offers a complete line of dental equipment including dental chairs, lights, cabinets, dental units, water treatment and sterilizers. Pelton & Crane has always insisted on the highest quality workmanship, as well as delivering innovation to the dental industry. You can feel the quality and enjoy the comfort of knowing Pelton & Crane is a name you can trust for products that withstand the test of time.